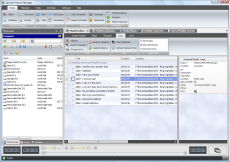 Sprintbit Playlist Manager is an all-in-one powerful software that lets you create, edit, manage and play playlists and media files. It includes many valuable features. You can use it as your default multimedia player on your computer. Please see below what you can do with its features. Use many tools for editing or updating playlist data like files locations, playback time, paths etc. You can play all major audio files: mp3 mp1 mp2 wav ogg aiff wma m4a mp4 flac aac ac3 wv it xm s3m mod mtm mo3 cda mid and other if you have required codec installed. 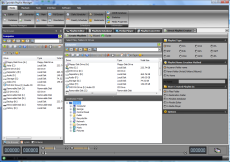 You can play all major video files: mpg mp4 asf avi wmv mkv and many other if you have required codec installed on your computer. You can maximize your listening experience with Subtitles & Pictures features. Shows subtitles text lines like in karaoke systems. 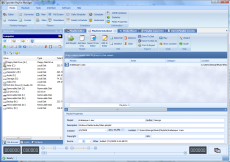 Built in File Manager let you work directly with your files like in Windows Explorer, you can perform file management tasks such as file deleting, renaming, copying etc. Search for files in your computer, view pictures etc.